In stock 119 items in stock. So much power and light from such a small package. This 3W per channel, Triple Output High Power RGB LED is sure to shed a lot of light on any project you add it to. 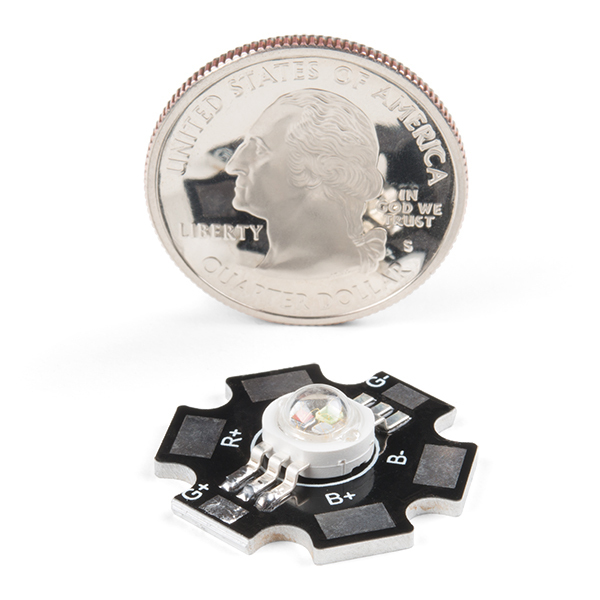 This LED acts as any other LED except they require much more power while delivering a light as intense of a thousand suns going super nova (this is an exaggeration but you know what we mean)! Please be aware that with all three LEDs (9W total output), you will need additional heat sinking. This LED sits upon an aluminum backed PCB to help with heat dissipation but with a 9W total output, additional heat sinking will be required. 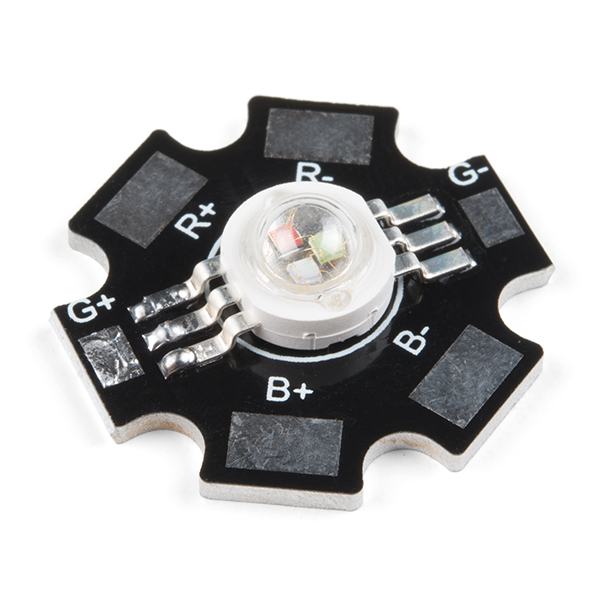 Additionally, each LED requires an operating voltage of 2.2-2.6V for red, 3.2-3.8V for green, and 3.2-3.8V for blue.